A selection in pictures where to eat Pure! local food when you are in Stavanger, the fourth biggest city of Norway. 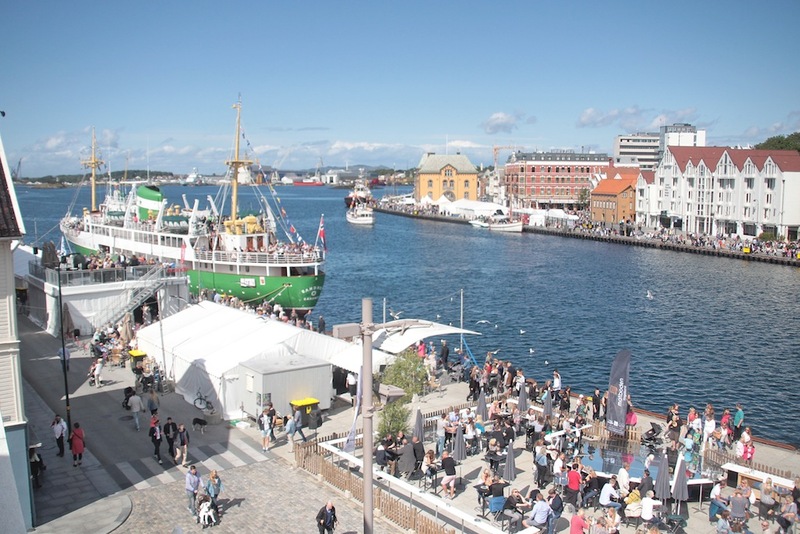 I was lucky to be at the Gladmat food festival last week. It’s the biggest food festival of Scandinavia, where 250,000 visitors enjoy ‘glad mat’, which means ‘happy food’ every last week of July. The focus is on local and sustainable food, just the way I like it! 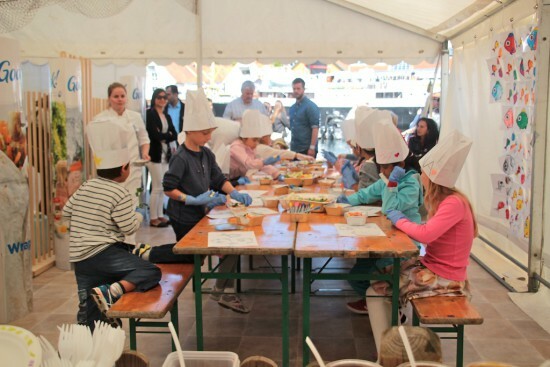 There was an interesting program, full of workshops and demonstrations. Like the Nordic seafood for kids with exciting Norwegian raw materials with a focus on sustainable, local fisheries. 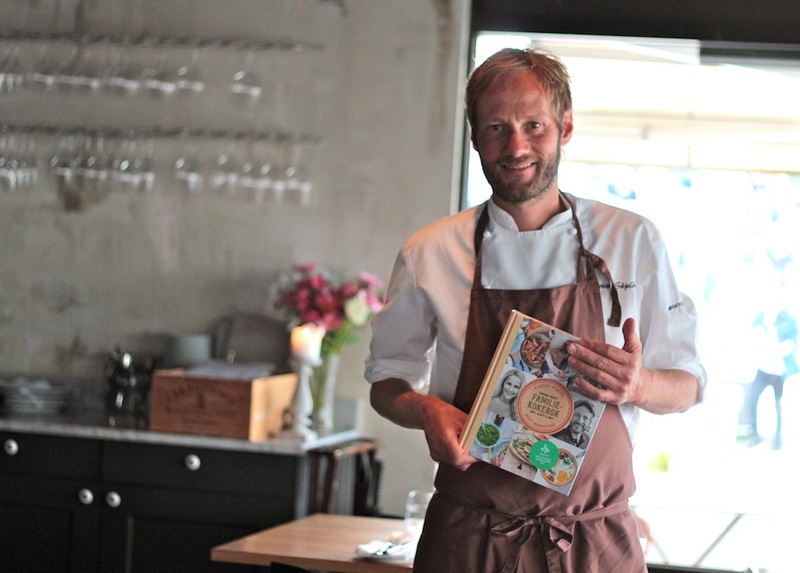 Kjartan Skjelde shows his ‘Familiekokebok’, family cook book that he wrote with Berit Nordstrand. Kjartan is the owner of restaurants Fish & Cow and Tango in Stavanger. Great view from the rooftop terrace at Tango. At restaurant Renaa Matbaren the menu is full of local food and they use some organic products. 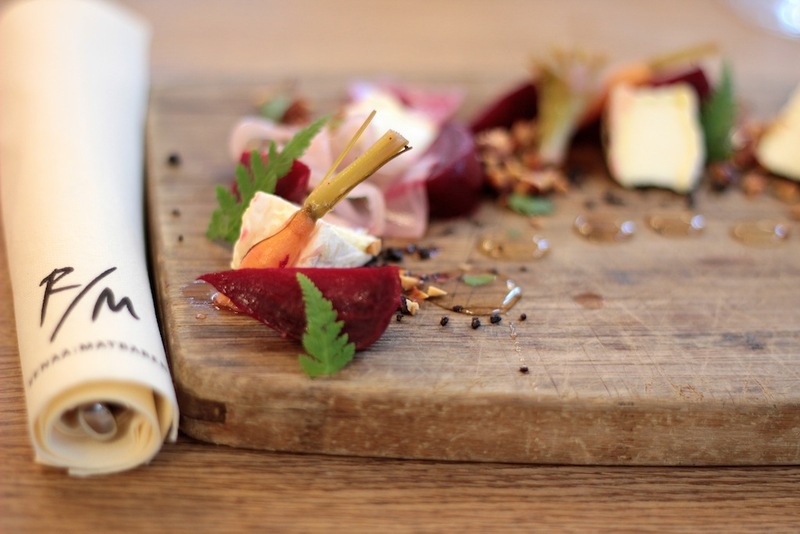 The young beet roots from Brimse with Rosalita goats cheese are both colourful and tasty. 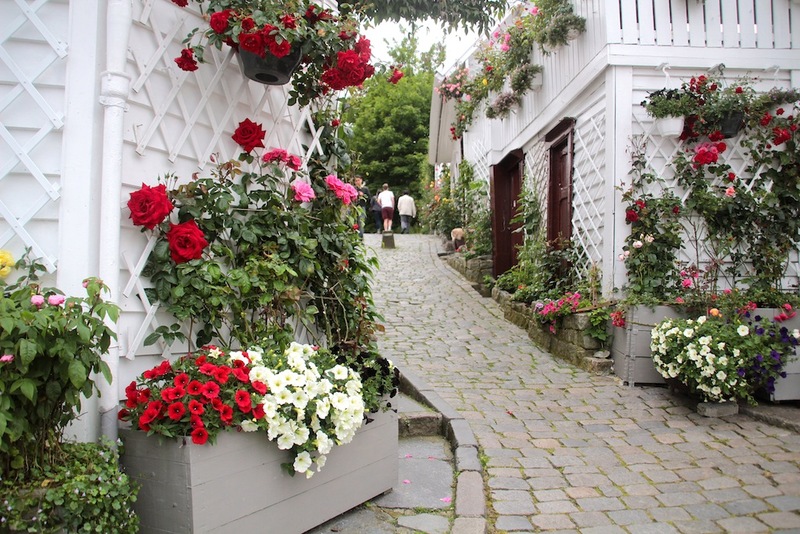 Walk to Gamle Stavanger: it is a beautiful area of little wooden houses and cobbled streets along the west side of the harbour. Go into the nature! 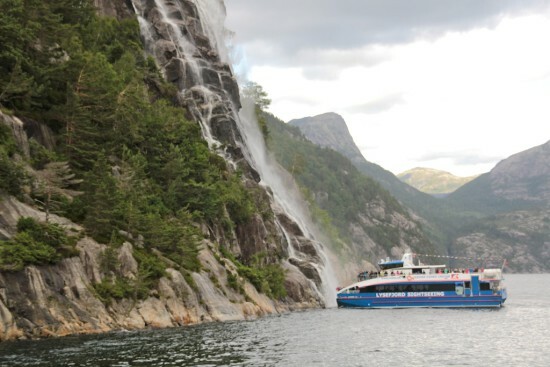 Enjoy a fjord cruise in the Lysefjord, which is 42 kilometers long. The boat stops near the spectacular waterfall where pure, fresh mountain water plummets 400 meters down into the fjord. 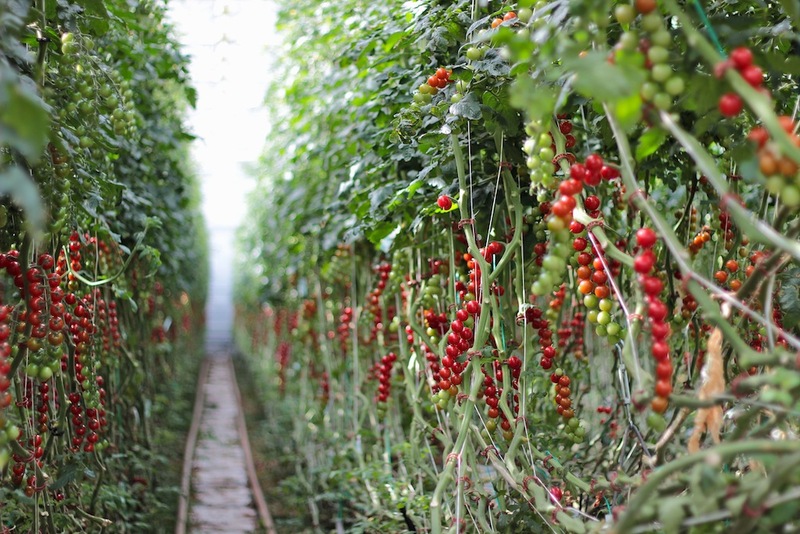 On a guided tour at Lauvsnes Gartneri I learned all about growing tomatoes. 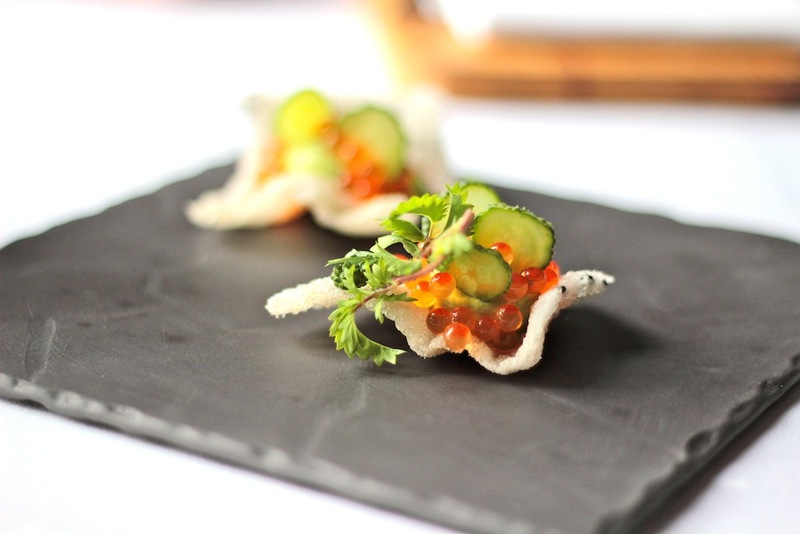 During Gladmat an 11-course dinner was served at restaurant NB Sørensen. Excellent food and wine pairing. 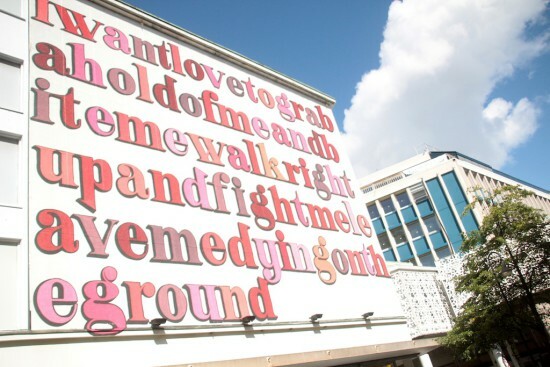 Are you a lover of street art? Visit Stavanger during the NuArt festival: the first week of September. 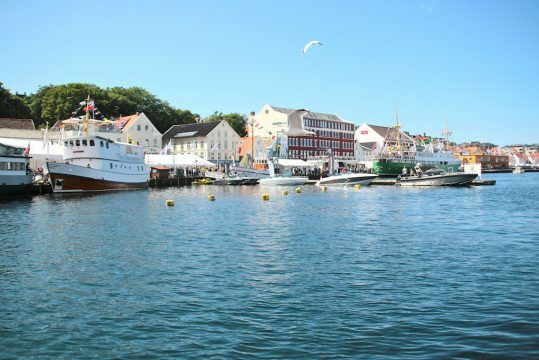 More Stavanger: blog posts about Gladmat food festival, 5 x restaurant tips and travel tips in and around Stavanger. Follow @PureFoodTravel on Twitter, Facebook and Instagram.